Once again John Hess from Filmmaker IQ gives an informative and in-depth presentation on how ISO works in our cameras and what this modern dual ISO technology is. 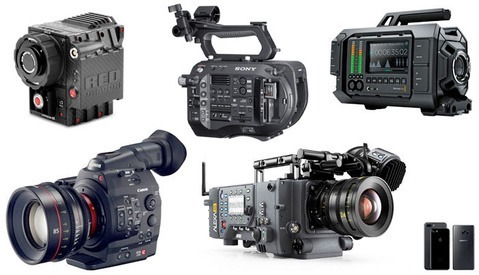 The information is applicable not only to cinema cameras, such as the BlackMagic Pocket Cinema Camera 4K, but also to other cameras that feature the dual ISO function. Do not get discouraged if your camera doesn't support it, because the details you will learn about not always using the lowest ISO is applicable to any digital camera on the market. 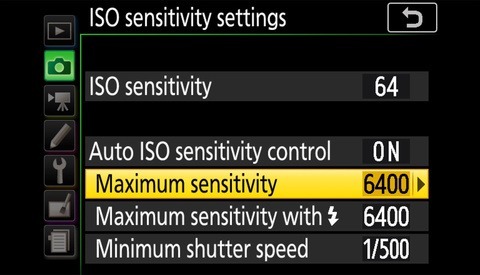 The dynamic range of the camera highly depends on the voltage gain you apply to the sensor, or the ISO setting. It is technically challenging to keep the same dynamic range throughout all the ISO values the camera allows. This is why certain manufacturers decided to split the range of ISO values in two parts that give you a different dynamic range. Think of the dynamic range as the ability of the camera to preserve detail in the shadows and in the highlights. Some ISO values will give you more detail in the shadows, while others, in the highlights. It is good to get familiar with the ISO and dynamic range charts for your camera and see at what values your dynamic range will be the greatest for the lighting situation you have. 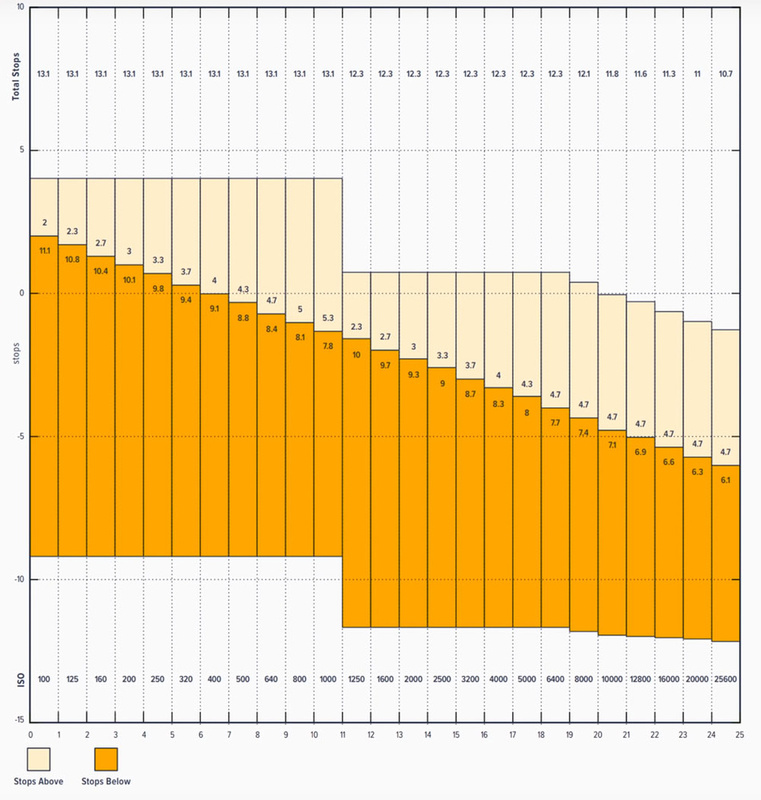 Below is the chart for the BMPCC4K camera. BMPCC4K dual ISO and dynamic range chart. You can clearly see the two ranges the manufacturer split the ISO values into. For example, if you are at a scene and you have lots of highlights and less shadows, you better shoot at ISO 1000 on that camera because it will give you more information in the brightest parts of the image. This is quite counter-intuitive to what we have been taught so far. The same peculiarity applies for all other cameras which may or may not support dual ISO. 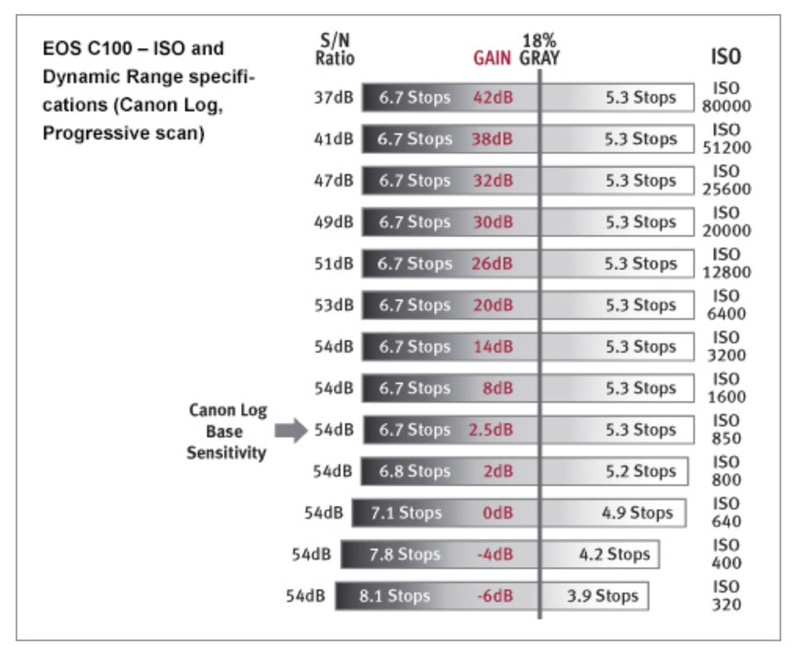 Here's the same chart but for the Canon C100 cinema camera. For those who want to understand more about that phenomena, watch the following video that describes dynamic range and ISO in a greater detail. We hope the information given by the Filmmaker IQ YouTube channel was helpful. Feel free to post the dynamic range chart for your camera in the comments below. What other cameras feature the dual ISO function? Mine doesn't, but at least I understood why different ISO values were better for different situations. 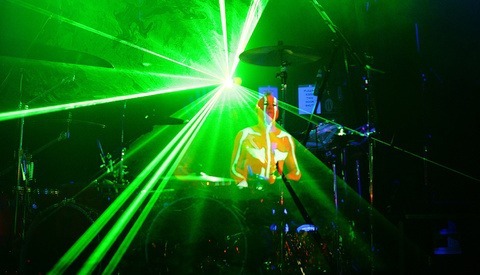 This was the important part of the video for me. Sony VENICE has dual ISO. I think that rounds out the list as of today 2019. Thanks for sharing the video! Just one caveat - in the January update, they released a new chart moving everything up 1.5 stops. I believe this was done because they (as I did) set middle gray to IRE 50 and just looked at how many stops above IRE 50 there were. But I'm told that Blackmagic's middle gray is really IRE 39 - which accounts for the additional 1.5 stops. So... shooting ISO 100, you will have 3.5 stops headroom, not 2... and reversely 9.5 stops below, not 11. The philosophy in the video is still sound. And it does actually apply to photography as well but a little differently - mainly in situations with very bright highlights that you really need to preserve. What I LOVE about Blackmagic cameras is that the value for middle grey does not change no matter your shooting mode or DR setting. "Video" mode, 39 IRE, "Film" mode 39 IRE. LUT applied, 39 IRE. No LUT applied 39 IRE. Can't say the same for other cameras. Thanks for the follow-up John. Indeed, the principles in the video you created are the most important thing here regardless of the probably-different middle gray value.